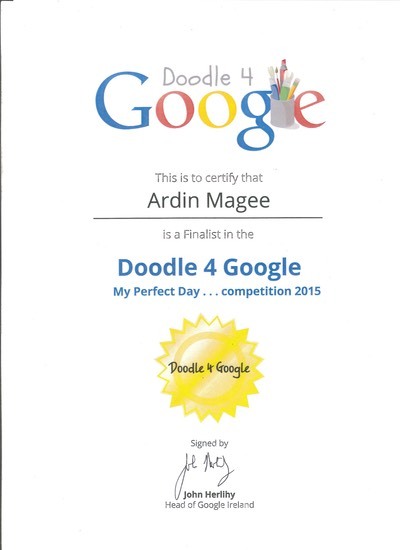 Ardin Magee has been selected to be a finalist for the Doodle for Google Art Competition. He is down to the final 75 in the country and needs all of your votes to win. Voting is done on the Doodle for Google website, and it will not be available until the 9th of March. Voting closes on March 20th so get voting every vote counts. The winner receives a fantastic prize and wins €10,000 for the school, so get voting. Congratulations and well done Ardin !